House To House Publications is the publishing arm of DOVE International®. We have been producing quality books since 1996. Check out some of our resources. We’re an international partnership of churches and ministries dedicated to advancing God’s kingdom. Click here for more of our story. Why should I choose Partnership Publications? Partnership Publications will work with you to create an attractive, quality book. You keep your rights, and we can make your book available to bookstores and libraries. What kinds of books do you publish? Partnership Publications produces many types of books; large and small. We publish books on Christian living, theology, church growth, discipleship, Bible studies, fiction, manuals, biographies, and others. We reserve the right not to publish any book that does not align with our Christian values. Generally, it takes about 8 to 12 weeks to see your book in print. Who holds the rights to my book? You hold your own rights to your manuscript. Our publishing agreement is author-friendly and allows you to take your book to another publisher if you so desire. The manuscript will always remain your work and will always be in your name and ownership. We will work with you to produce an attractive page layout for your book as well as an inviting cover that will best connect with your readers. Will my book be listed on Amazon? Yes. 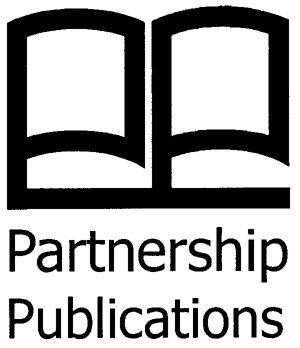 Partnership Publications provides what you need to have your book listed on Amazon. Can I have my book listed on my website and Facebook? Yes! You may promote and sell your book on your own website and Facebook page. The retail price is determined by your book’s page count. You may set it for your book. Yes. Your book will be given the International Standard Book Number required by book sales channels to track and order your books. Partnership Publications will put a Bookland/EAN bar code on your book’s cover. You do. When you wrote your book, you automatically asserted copyright ownership. You may also register with the U.S. Congress Copyright Office, which records this ownership more formally, gives you better recourse in case of infringement, but it is not required. Yes! We can edit your book. We can correct sentence or paragraph construction, as well as correct spelling and punctuation errors. We won’t change your style of writing or alter your content. We also can give you suggestions for improving your text. Contact us and send us your manuscript. We will review your book and give you feedback on the next steps.